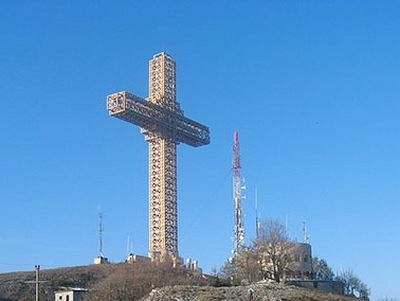 The Council of Hierarchs of the Serbian Orthodox Church has resolved to resume the dialogue of its representatives with the self-declared “Macedonian Orthodox Church” (canonically unrecognized by any of the Autocephalous Orthodox Churches) in order to settle the issue with its canonical status. 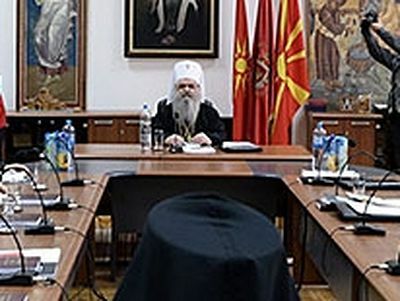 The Hierarchal Council has stated that the problem with its canonical status will be completely resolved only on condition of a positive resolution of the new proceedings against Jovan (Vraniskovski), Archbishop of Ohrid and Metropolitan of Skopje, as well as 18 other representatives of the autonomous Orthodox Ohrid Archbishopric, including two bishops. Representatives of the Orthodox Ohrid Archbishopric, which is active on the territory of Macedonia and is in the Eucharistic communion with all other Autocephalous Churches, have been prosecuted by the country’s public authorities for a number of years. The new Commission of the Holy Hierarchal Council for the Dialogue with Representatives of the so-called “Macedonian Orthodox Church” has been formed by the Serbian Orthodox Church. Metropolitan Amfilohije of Montenegro and the Littoral has been appointed chairman of the Commission, while Bishop Irinej of Backa, Bishop Grigorij of Zahumlje and Herzegovina, and Vicar Bishop David of Stobi (the autonomous Orthodox Ohrid Archbishopric) will be the Commission members. Archpriest Gajo Gajic is appointed the Commission’s secretary. 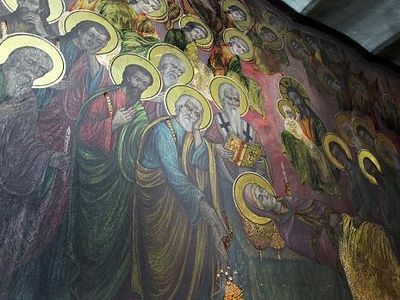 Church officials at Sveti Dimitrije (St. Dimitrija) in Skopje said Monday that frescoes on the walls began to shine brightly without explanation.